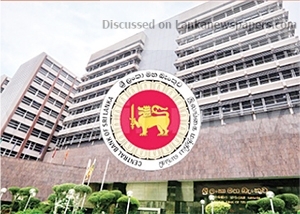 he Central Bank of Sri Lanka (CBSL) is of the view that the decision by Moody’s Investors Service (Moody’s) on November 20, 2018 to downgrade the government of Sri Lanka’s foreign currency issuer and senior unsecured ratings from B1 (Negative) to B2 (Stable) does not properly reflect the country’s macroeconomic fundamentals, and therefore unwarranted. ‘Sri Lanka’s current level of gross official reserves (GOR) amounting to US dollars 7.2 billion is sufficient for the country to meet its external debt obligations in the period ahead. In addition, as a precautionary measure, the CBSL has initiated negotiations with central banks of friendly nations with regard to obtaining foreign currency SWAP facilities of sizable amounts. These measures will further strengthen the country’s foreign reserve adequacy, and would enable timely servicing of external obligations while intervening cautiously in the foreign exchange market to prevent a disorderly adjustment of the exchange rate. In addition, the fiscal and macro prudential measures that are already in place are expected to result in an improvement in the external trade balance as well, thus reducing pressure on external reserves and the exchange rate. ‘Meanwhile, domestic financing conditions have shown considerable improvement through spaces created and debt management strategies introduced recently. This has reduced the roll-over requirement of Treasury bonds and SLDBs in 2019, 2020 and in the medium-term. The Treasury bond maturities, which amounted to over Rs. 600 billion in 2018, are lower in 2019 and 2020, amounting to around Rs. 450 billion and Rs. 290 billion, respectively. Similarly, SLDB maturities, which amounted to around US dollars 2.3 billion in 2018, have also been reduced to around US dollars 0.62 billion and US dollars 0.82 billion in 2019 and 2020, respectively. Further, the new acquisition of government securities by the banking sector has increased by only 1.5 per cent in 2018 as against the trend increase of around 5 per cent in recent years. These developments along with resource availability among institutional investors highlight the substantial space that exists to meet financing requirements from the domestic market. Continued fiscal consolidation, particularly with the positive primary balance and the Active Liability Management initiatives, are expected to further strengthen the government’s fiscal operations in 2019 and in the medium term. ← Can Sri Lanka avoid whitewash?